In March 2018, North Carolina officially ended the shackling of women (prisoners) in childbirth. At that time, Dr. Carolyn Sufrin, a medical anthropologist and OB-GYN said, “Passing laws and changing policy is only one step – there needs to be training and accountability and oversight to make sure that it doesn’t actually happen.” In 2009, New York outlawed the use of physical restraints on pregnant women during labor and delivery. In 2015, New York outlawed the use of physical restraints on pregnant women during in-custody transportation and the eight-week postpartum recovery period. For nine years, “physical restraints” on pregnant women during labor and delivery has been banned. Tell that to Jane Doe, who was forced in February of this year to undergo labor and delivery while her ankles were shackled and her wrists were handcuffed to the bed. Who did this? The New York Police Department. Why? Because they could. Because she was already a Jane Doe, as far as they were concerned. The attending doctors asked the police to remove the restraints. The police said no. The doctors said New York state law bans the use of restraints. The police replied that the NYPD’s Patrol Guide required restraints and, importantly, the Patrol Guide supersedes state law. According to Dr. Sufrin, 26 states ban the shackling of women in labor. The Federal Government does not ban the shackling of women in labor and delivery, although the so-called First Step Act, currently awaiting discussion in the U.S. Congress, would address the issue. It seems unlikely, though, that the Congress will act on this. The history of shackling pregnant women (prisoners) in the United States is the ongoing history of slavery. While we remove statues and rename schools and other institutions, we should pay closer attention to and abolish the shackling of prisoners, all prisoners, beginning at the very least with pregnant women (prisoners). 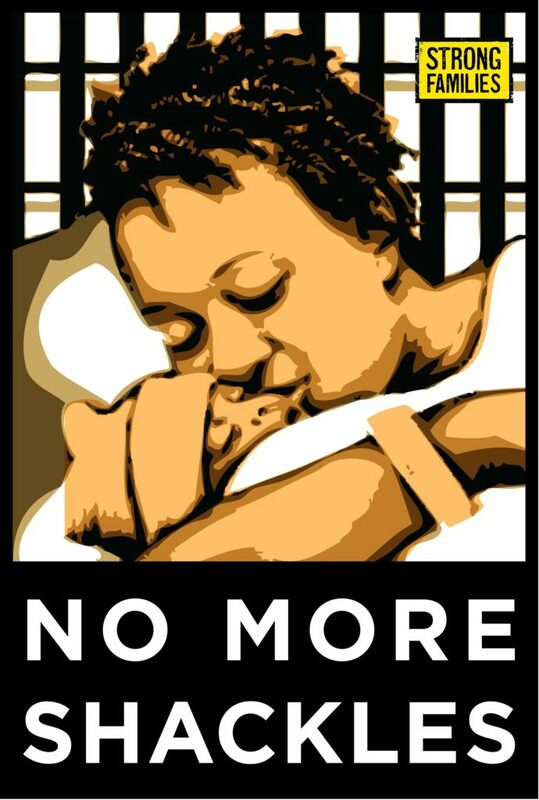 In 2014, the Correctional Association of New York interviewed 27 women who had given birth in New York prisons after the 2009 law was passed. 23 of them had been shackled during childbirth. How many more times must we hear or read similar accounts before we take real action? It’s time to bring slavery to an end. End the shackling of pregnant women (prisoners) and all people. Do it now!